Jenoptik provides you with diffractive optical elements tailored to your specific laser applications and system requirements. This allows you to efficiently shape your light and improve overall system performance and flexibility. 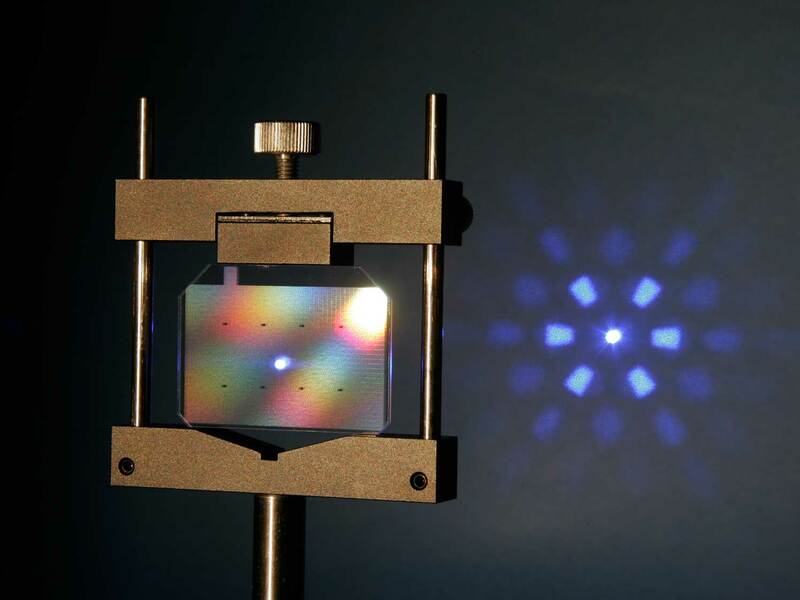 Diffractive optical elements (DOEs) shape and split laser beams in an energy-efficient manner. 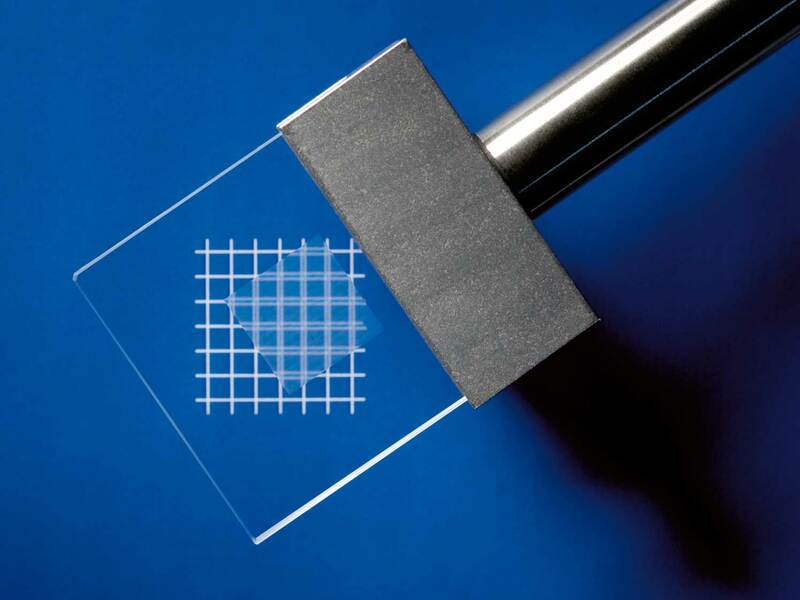 You can implement a wide range of applications with minimal light loss – examples of diffractive microoptics can be found in production facilities for laser material processing, in medical laser treatments and diagnostic instruments, in areas such as lighting, printing technologies and lithography as well as in measuring and metrology systems. DOEs are used to pattern light in work areas for custom illumination. Jenoptik offers DOEs for all wavelengths across the spectrum, however, we have unique experience with 193 nm and EUV. As a reliable systems partner, Jenoptik supports you in all phases, ranging from the initial concept to manufacture and system integration. When combined with our very short production times, we contribute to your success right from the beginning of your development phase through to serial production. Diffractive optical elements (DOEs) can be divided into three different categories according to their function: beam shapers, beam splitters and diffusers (also known as homogenizers). We will be happy to assist you in selecting the most suitable optical element for your application. Contact us for more information on the functionality and differences between the various DOEs. A diffractive beam shaper allows you to modify the intensity and phase profiles of spatially coherent lasers. Through in-phase manipulation of the input beam, you can achieve virtually limitless and, most importantly, speckle-free intensity profiles in the output beam. This requires reliable and accurate knowledge of the input beam and phase profile. You can optimize the performance and overall efficiency of your system, which could be in the application of laser material processing, in the field of lithography and holographic lighting as well as for biomedical devices and optical sensors. With our high-performance beam shapers, you can create uniform top-hat, circular rectangular, or linear intensity profiles as well as all manner of distributions and geometries – all according to your own specific requirements and applications. We design our beam shapers to be perfectly compatible with single-mode (TEM00) input beams. We also produce refractive or diffractive diffusers and homogenizers for use with multi-mode lasers to integrate the multi-mode beam. These cover a wavelength range from DUV to LWIR. Single-mode lasers such as solid-state lasers, fiber lasers, diode lasers, gas lasers and frequency-doubled or -tripled lasers feature a Gaussian beam profile. These Gaussian profiles can´t be readily used for optimal for uniform lighting applications. Diffractive line generators from Jenoptik use a single surface element without additional optics to convert a Gaussian laser beam into a uniform, one-dimensional top-hat profile. 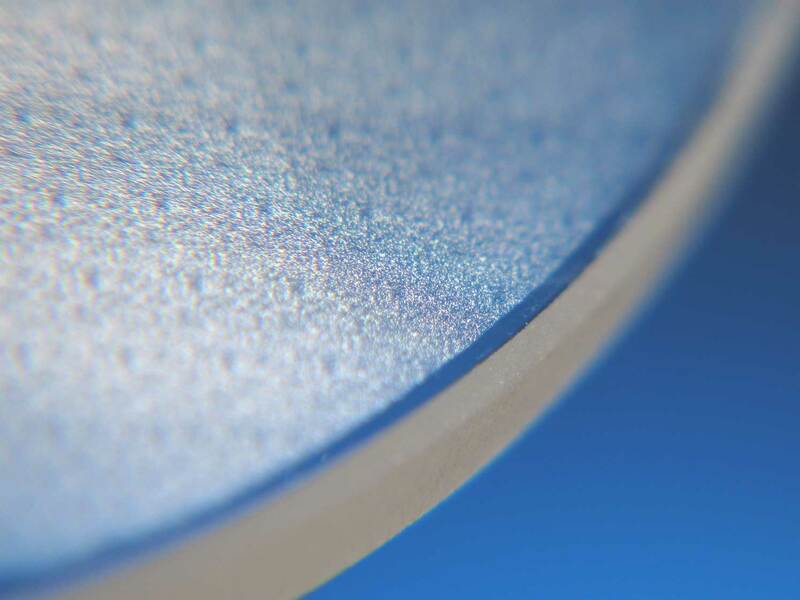 Uniform and speckle-free lines are ideal for material processing applications, such as annealing or recrystallization of semiconductors and thin layers. This type of illumination can be designed to create lines at normal incidence or even on highly tilted planes. Diffractive beam splitters from Jenoptik effectively separate a single incident laser beam into multiple non-overlapping beams. The intervals, intensity ratios and symmetrical distribution of the beams are freely selectable and are set by the periodic microstructures of the beam splitter with great accuracy and high repeatability. At the same time, the divergence angle, diameter and polarization of the incident beam remain unchanged. As a result, the energy emitted by the laser is better distributed for multiple channel processing, thus enhancing both efficiency and performance. 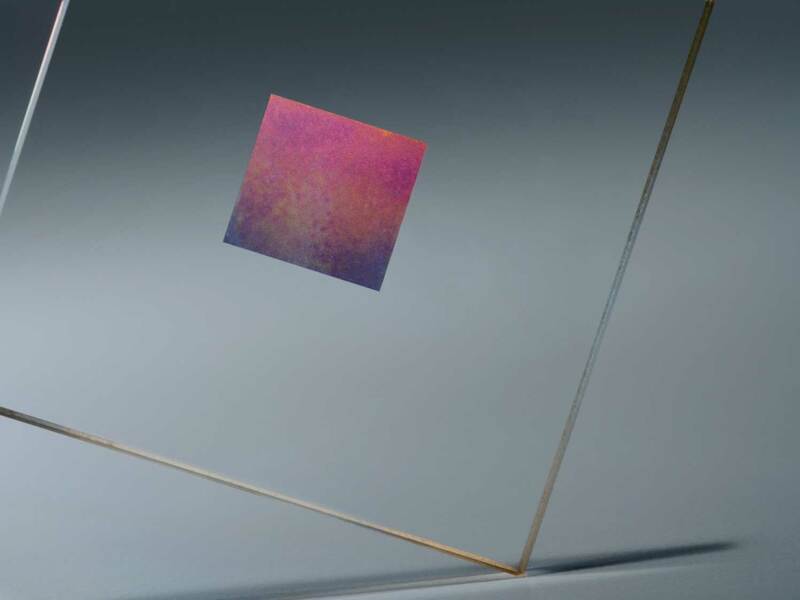 This makes our high-precision diffractive microoptics ideal for LIDAR applications involving color separation, material processing for surgical procedures as well as in the field of metrology, as a few examples. You can also achieve better results during laser welding by using multiple laser beams with fixed angular separation and power ratios, thereby optimizing the transfer of heat into the material, for instance. For your specific applications, Jenoptik also offers polarizing beam splitters, which allow you to separate the s and p polarization and adjust their intensity ratio. You use diffractive diffusers from Jenoptik to absorb a monochromatic laser beam and scatter the light into any imaginable pattern. Like the diffractive beam splitter, the diffuser converts an input beam into a multitude of output beams, the angle and intensity of which can be controlled. However, in contrast with the beam splitter, these beams overlap and interfere, generating a new, homogenized distribution. 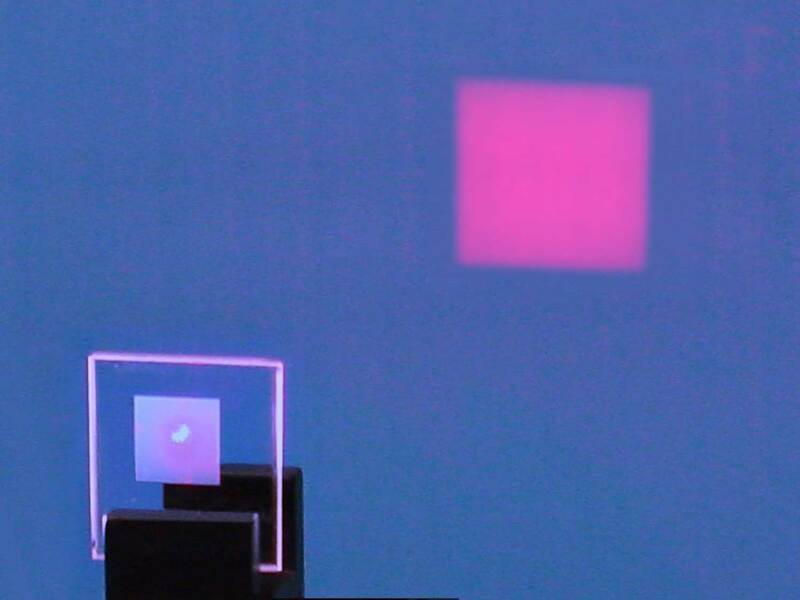 Diffractive diffusers are therefore ideal for laser applications, in which a specific laser beam shape is required, similarly to refractive homogenizers. They also allow you to realize uniform performance for a specific range at a defined distance from the light source. The optical elements achieve a uniformity of 3 to 5%, whereby the shape of the light distribution can be round, rectangular or freely selectable. Our diffractive diffusers feature a strictly controlled beam angle, which guarantees you particularly high levels of efficiency. The diffusers are not alignment sensitive and have no impact on the polarization of the input beam. This makes the diffractive diffusers ideal for applications requiring rapid sensing of large areas, in the fields of remote sensing or LIDAR/LADAR, for example. The diffusers cover the wavelength range from DUV to infrared. The diffractive Gaussian generators from Jenoptik represent a special type of diffractive diffuser and are ideally suited for high-power lasers such as excimer, nitrogen or diode lasers. They convert non-Gaussian laser beams into accurately defined, reproducible Gaussian far-field profiles. Such intensity profiles are ideal for overlapping laser beam processing – for example, during material processing and medical laser treatment or for printing technology and measuring systems. We can provide you with DOEs for wavelengths ranging from UV to NIR. Multi-pole pupil illumination is required to achieve maximum resolution in mask projection systems. 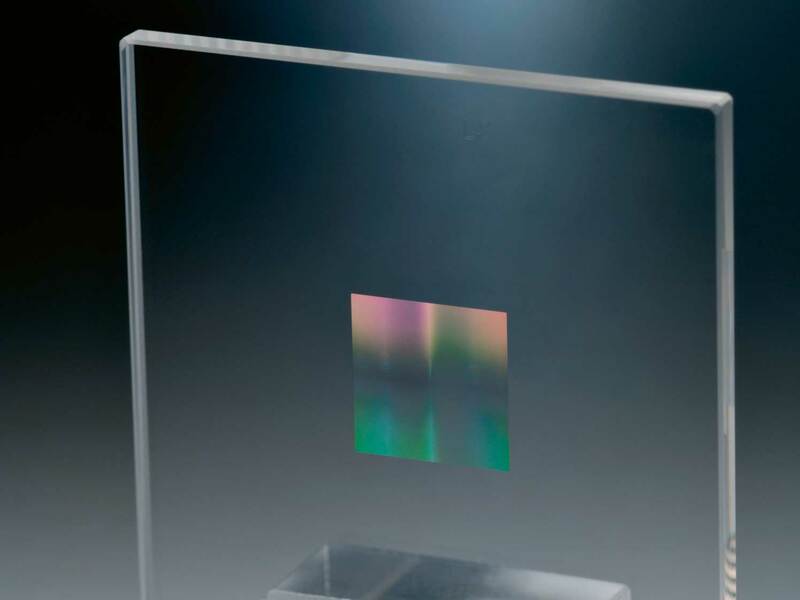 Diffractive optical elements (DOE) from Jenoptik effectively produce such distributions with high accuracy and uniformity both within and between the individual poles. 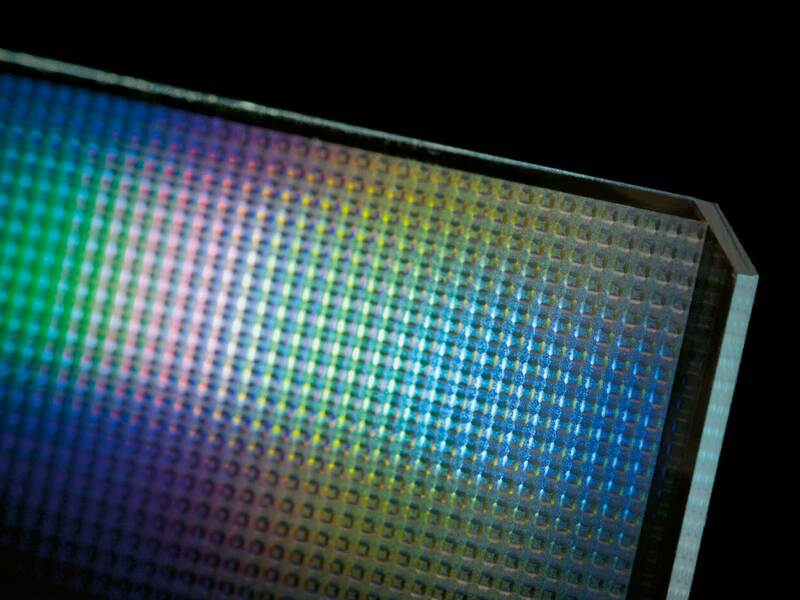 We use high-quality materials for all our diffractive elements. This ensures a long service life, even in the case of intensive UV laser irradiation.